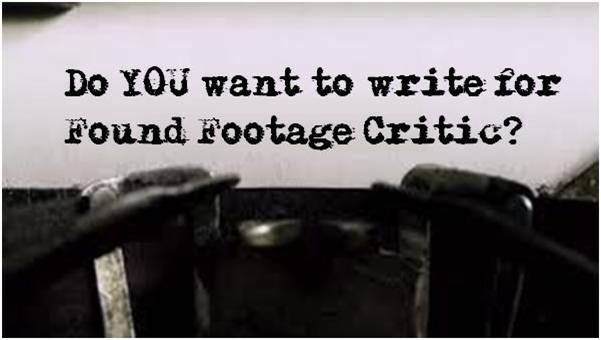 Found Footage Critic is calling out to filmmakers to submit their feature length found footage films for inclusion in our streaming rental service, and is offering filmmakers non-exclusive licensing agreements and a share of the rental fees. Found Footage Critic is a found footage film database, movie review website, and online community dedicated to reviewing and discussing found footage films with an emphasis on horror. Closing in on 500 found footage films, the site boasts the world’s largest online catalog of pure found footage films. Found Footage Critic’s CEO Michael Steinberg says, “I started Found Footage Critic with one goal in mind, to bring all found footage films produced around the world under one roof for fans to read about, rate, discuss, and review. Before Found Footage Critic, finding all but the most popular found footage films was an arduous task, especially rare titles that are mostly unknown except to a handful of devout fans. We openly invite filmmakers and studios to submit their found footage films for rental distribution on our streaming rental service. Filmmakers can contact us here for more specific information, or send us a direct message on Twitter @FoundFootageFan or Facebook https://facebook.com/FoundFootageCritic/. Found Footage Critic has the ears of the found footage horror fan community through its weekly Found Footage Files Podcast, co-hosted by Boss Butcher and Michael Steinberg which was recently ranked by Blumhouse among the top Ten Horror Podcasts You Should Be Listening To Right Now. Found Footage Critic’s sister site, SupportHorror, is a crowdfunding platform wholly dedicated to funding indie horror films. Found Footage Critic CEO, Michael Steinberg, is an attorney, licensed to practice law in New York State, and has a graduate degree computer science. He has over 15 years experience working in Fortune 500 companies performing management consulting, business analysis, and compliance audits, with an emphasis on enterprise software deployment and management.